New things that are making me happy this week! These midi rings that my sister made and sent me in the mail. :o) I told her I wanted a few, so she made me about thirty. I love having a talented jewelry artist sister! 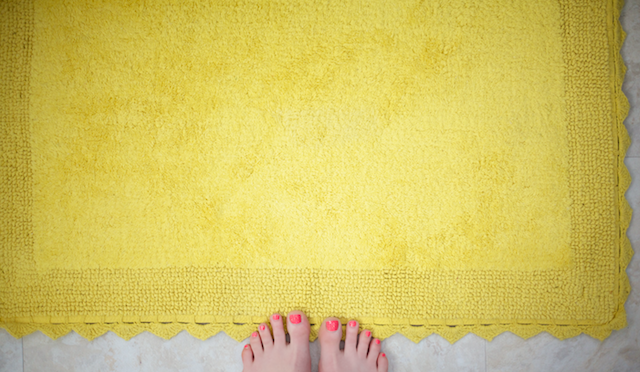 New sunny yellow mats in our bathroom! 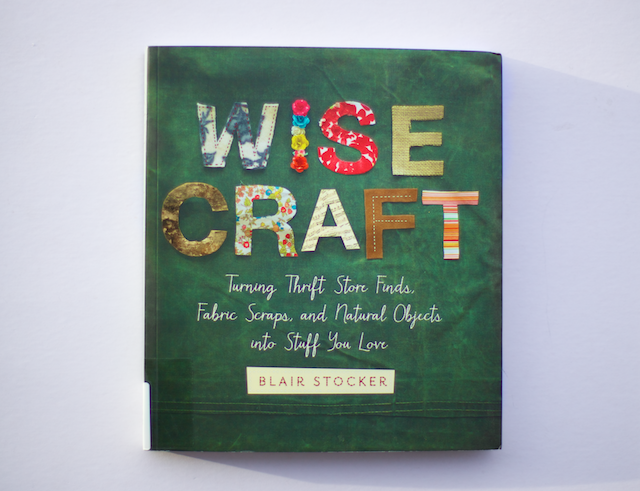 This book I found at the library-"Wise Craft" by Blaire Stocker. It's beautiful! 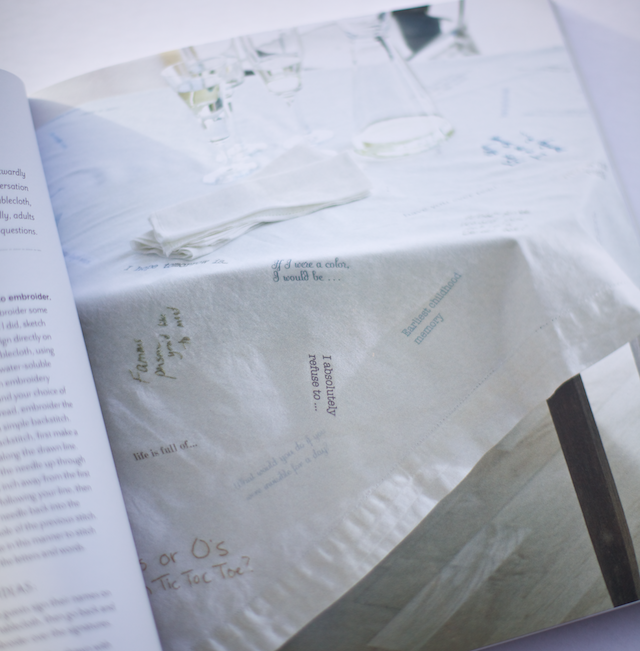 I loved this conversation starter tablecloth for gatherings with friends. What a great idea! 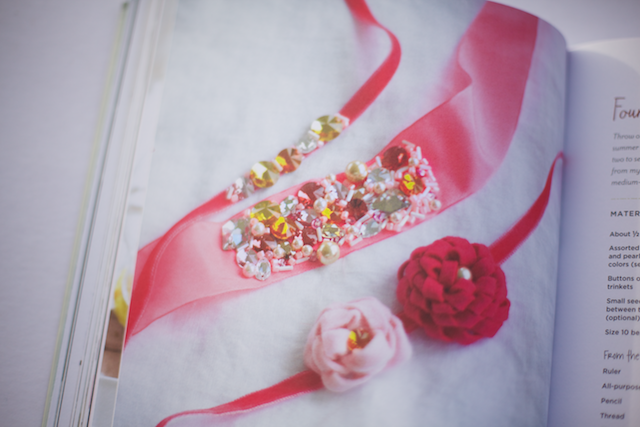 And these cheerful sparkly ribbon bracelets. These would make great sashes, too! I can see it on a little flower girl. Last but not least, this song. My newest favorite! Isn't it beautiful? Things that aren't making me happy? Pink Eye. Baby B has it, which means more of us probably will soon. Beans. Oh well! Getting sick is part of life, right? Just makes us appreciate our healthy moments more. You are such a character, Disney. You certainly brighten up people's lives. I don't think I know anyone else with pink hair :-) I hope you don't get pink eye. Not sure what that is but perhaps it is like conjunctivitis. i love midi rings and i also love needtobreathe....ahhhhhh bear & bo reinhart!!!!! they are my brothers hemsworth!! does you sister have an esty shop? 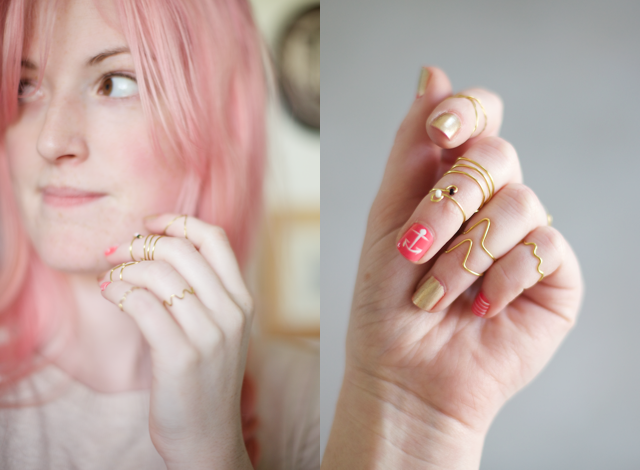 I love those rings! I love you and follow your blog and think you are just completely awesome! I was wondering if you would be willing to follow or share my daughter's facebook page. She has leukemia and doesn't have many "followers" and it would be cool to get more. https://www.facebook.com/pages/Jordyns-Journey-to-Triumph-over-ALL-Acute-Lymphoblastic-Leukemia/525730070799917 If not, that is fine, I still think you are amazing! 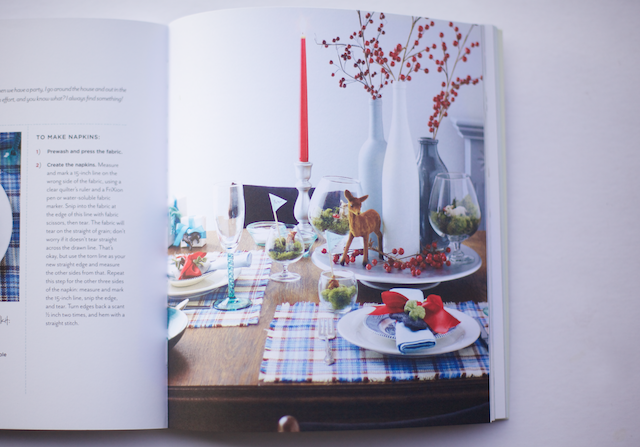 That book would certainly have made me think of you, for sure. Oh those bath mats! They are perfect! Wherever did you find them? That song! I have been playing it on repeat for weeks. 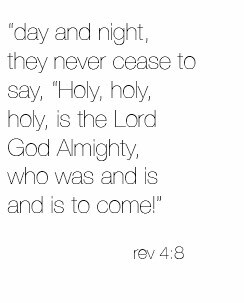 Most people dont recognize this band [needtobreathe] but they are my all time favorite. Every song is amazing.